Home / FILM POSTERS / Idris Elba and Richard Madden star in Non-stop breakneck action film "Bastille Day"
Idris Elba and Richard Madden star in Non-stop breakneck action film "Bastille Day"
Going against commands, Briar recruits Michael to use his expert skills to help quickly track down the source of the corruption. As a 24-hour thrill ride ensues, the unlikely duo discovers they are both targets and must rely upon each other in order to take down a common enemy. “Briar’s character - uncompromising, brutal, reckless – had shades of Popeye Doyle, Dirty Harry or Walker from John Boorman’s Point Blank. The notion of Idris Elba playing this role was irresistible to me. His combustible relationship with the streetwise Michael struck me immediately as the beating heart of the film and I liked the opportunities this relationship gave for lighter moments. It reminded me of the gruff, salty humour of early Don Siegel/Clint Eastwood collaborations or classics like Midnight Run and 48 Hours where the tone shift gears from gritty action to more playful moments whilst never breaking character,” recalls director Watkins. “I wanted to make a big Friday night out film” exclaims James Watkins. The director's ambitions for “Bastille Day” were one of the reasons the producers approached him. This was to marry big budget commercial thrills with kinetic, in-your-face shooting style with handheld cameras up close and personal with the actors, to get right in the middle of the action. “We wanted to be close enough to feel them, to feel their breathing, to be right in their eyes. A lot of the actions shots are from a subjective point of view, so as a viewer you feel completely in the moment. I'm not interested in CGI which creates scenes that defeat the laws of physics! So, however large the story is, everything should always have an emotional sense of truth. Ultimately, you go to the movies to see people and so the closer you are to those people, the more you'll enjoy the experience,” Watkins concludes on shooting the movie. 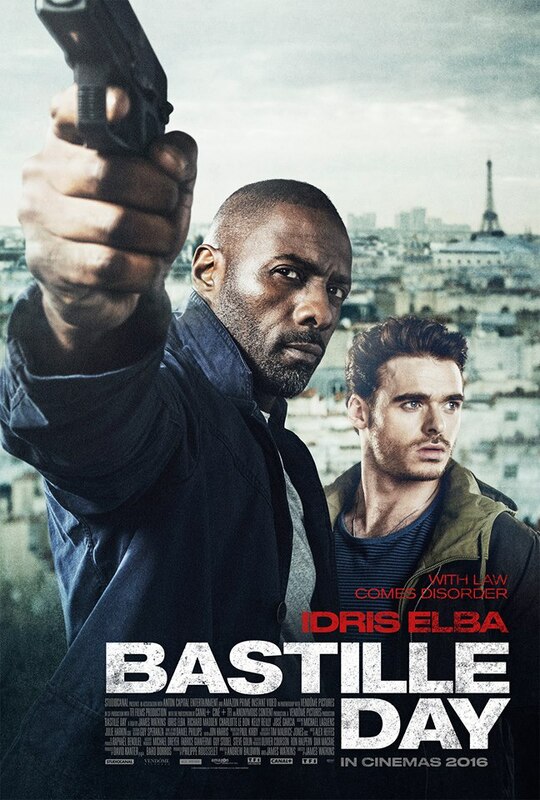 Prepare for breathless, high-octane action thrill when “Bastille Day” opens in cinemas this April 20 from Axinite Digicinema.